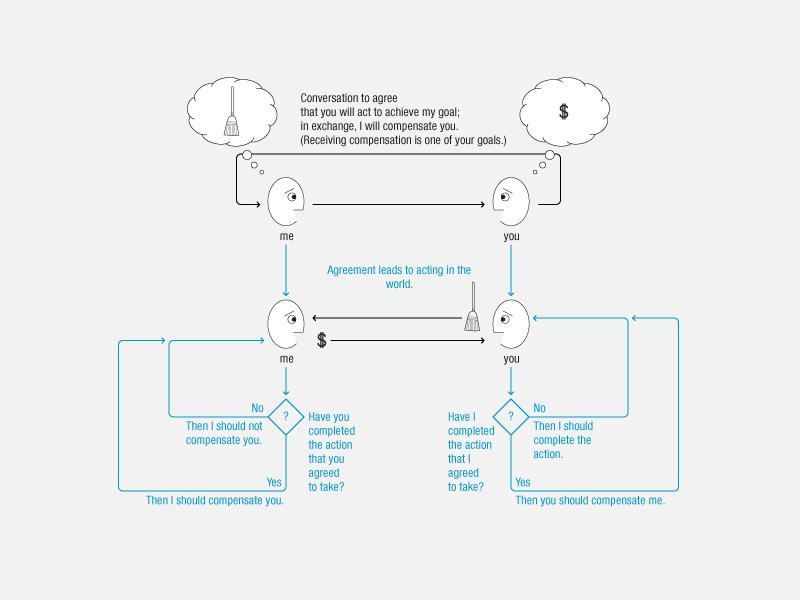 Participant B agrees to trade an action for payment from participant A. B performs the action and confirms that his action has created the correct result. A confirms her goal is achieved and compensates B as agreed. Compensation may be monetary, return of favor, barter, etc. I really like what you guys are up too. This type of clever work and reporting! Keep up the terrific works guys I’ve added you guys to my personal blogroll.